A customized cap in cool graphite and hot hues - 24HR! New Era® caps are made from a 97/3 cotton/spandex blend. Each cap features a structured, mid-profile design and a pre-curved visor. Caps are designed with a six-paneled crown and embroidered eyelets! Stretch fit caps feature a contrasting colored underbill. 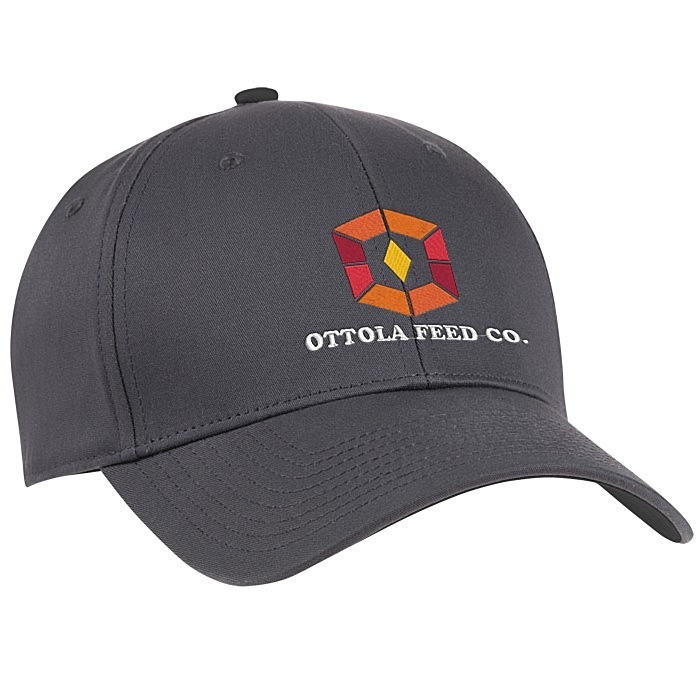 Your price includes an embroidered imprint on the front of the cap.